The reason why I volunteer is because I have a passion for teaching. I knew that volunteering in the Leaders in Training program at Camp Chief Hector YMCA would be an extremely rewarding experience in that everyday I would successfully teach collaboration, acceptance and get some smiles and laughter along the way. I volunteered with the YMCA specifically because of its mandate to boost the health of Canadians. By volunteering at Camp Chief Hector YMCA, I knew I would be making a positive difference in children’s lives and promoting healthy behaviors. This includes all the physical activities we do at camp, such as rock climbing, hiking, and canoeing. It also includes encouraging children that we should always eat healthy and drink lots of water. My favorite thing about volunteering is the positive effect it has on everyone. 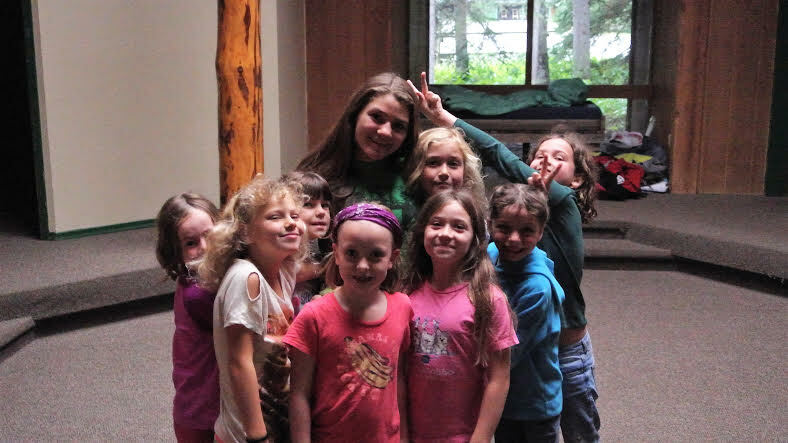 While volunteering at Camp Chief Hector YMCA, I could tell that I made positive changes in children’s lives by promoting the ideas of living healthy, respecting nature, and the importance of working together. A positive change was also made in my own life because it truly was a challenge taking care of eight children with all differing and wonderful personalities. By being able to accomplish this challenge, I feel proud of myself and now have the mentality that I can achieve any goal set in life. What is your YMCA story? My YMCA story is that I moved to Calgary from St. John’s, Newfoundland when I was nine years old, leaving behind my culture, family and friends. Being a camper every summer at YMCA Camp Chief Hector helped me to build social connections and feel accepted in Alberta. As a result of that positive experience, I want to help any other children who may have that “out of place” feeling.